Happy New Year! As you can see the Casas Fumando team took a few weeks off to spend the holidays with friends and family, but are back at it! This week I take a look at a cigar that I have been itching to review, its Fratello’s Oro Boxer paired with a bottle of Sierra Nevada’s Trip in the Woods series Narwal which is a Bourbon Barrel aged version of the beer with Red and Black Currants. Fratello is a brand created by Omar de Frias. The Pro is the latest blend released by the comany as it made it’s debut at the 2016 IPCPR show in Las Vegas. 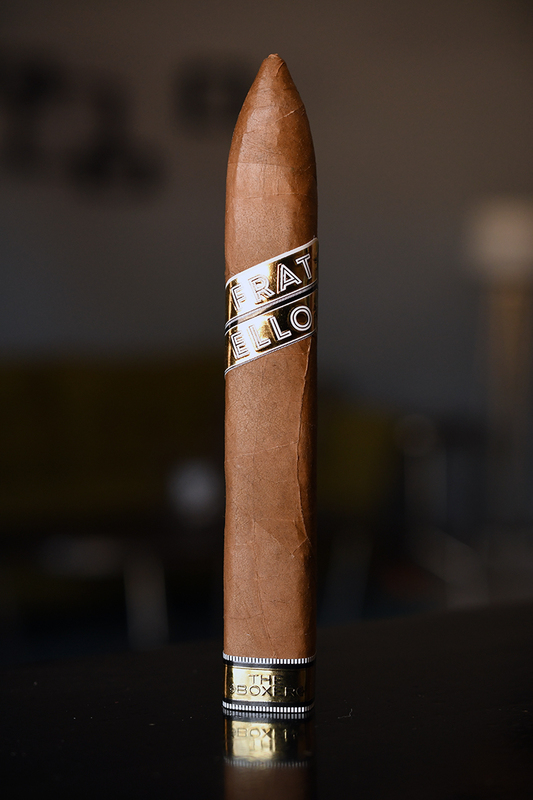 Up until the Fratello brand had been produced in Nicaragua, coming back to Omar’s Dominican roots the Oro is being produced at the famous La Aurora factory in the Dominican Repbulic. The blend features an Ecuadorian Connecticut Shade wrapper, Cameroon binder, and Dominican and Nicaraguan filler tobaccos. The cigars come in six formats: Short (4 x 58), Robusto (5 x 50), Corona 5 1/2 x 47), The Boxer (6 1/4 x 52), Toro (6 1/4 x 52) and the Gordo (6 x 60). While all the formats are round and traditionally capped, The Boxer is box-pressed and features a torpedo style cap. All formats come packaged in boxes of 20 running between $8 and $9.75 a stick. I purchased a few of these from our good friends at Two Guys Smoke shop. 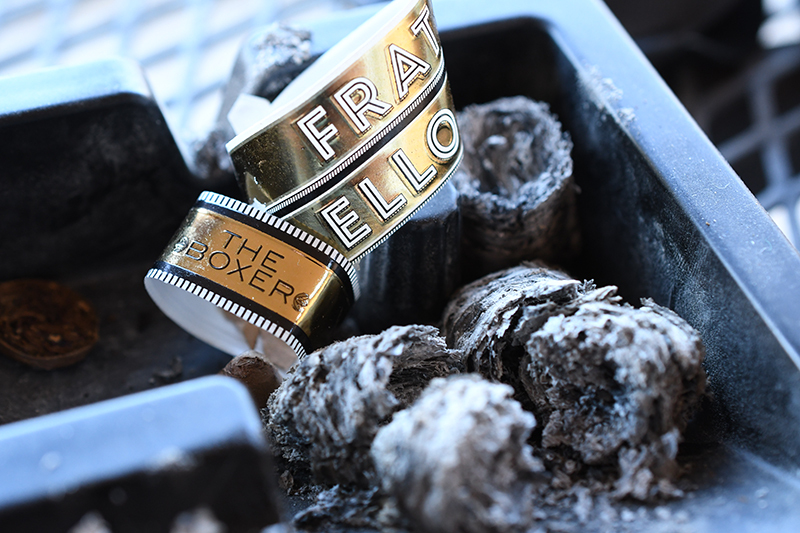 The Fratello The Boxer Oro starts out with a beautifully consistent golden brown wrapper. It’s easy to see where the cigar gets it’s name from. The wrapper feels very thin and delicate with a very smooth, silky texture carrying a decent amount of oils. 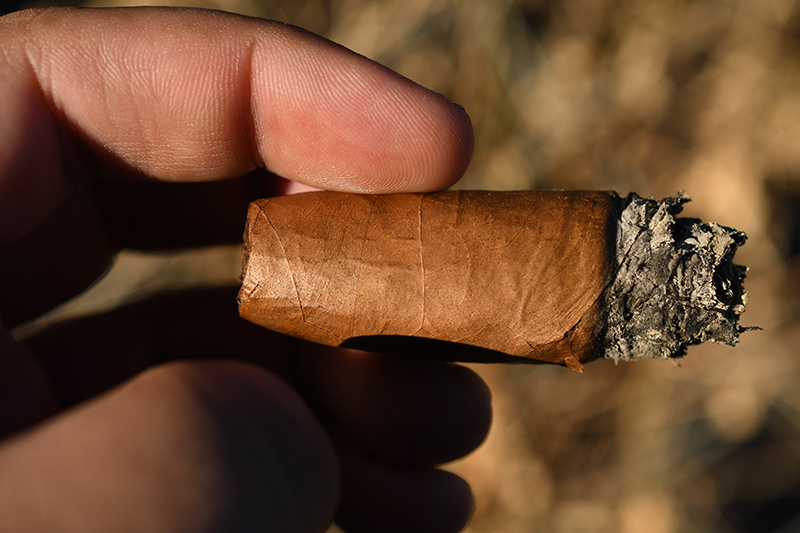 The cigar is packed very firm and feels very heavy in the hand. 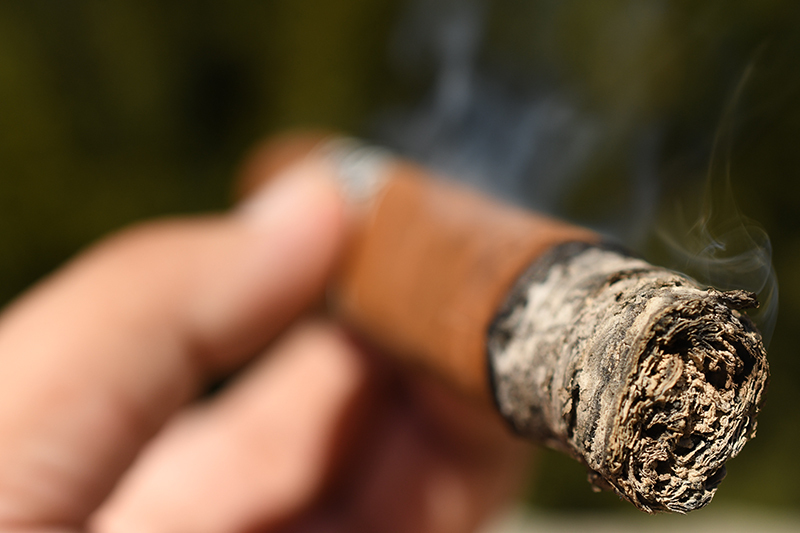 There are only a few very minor veins running through the cigar’s box-pressed body leading up to the cigar’s tapered, torpedo cap. 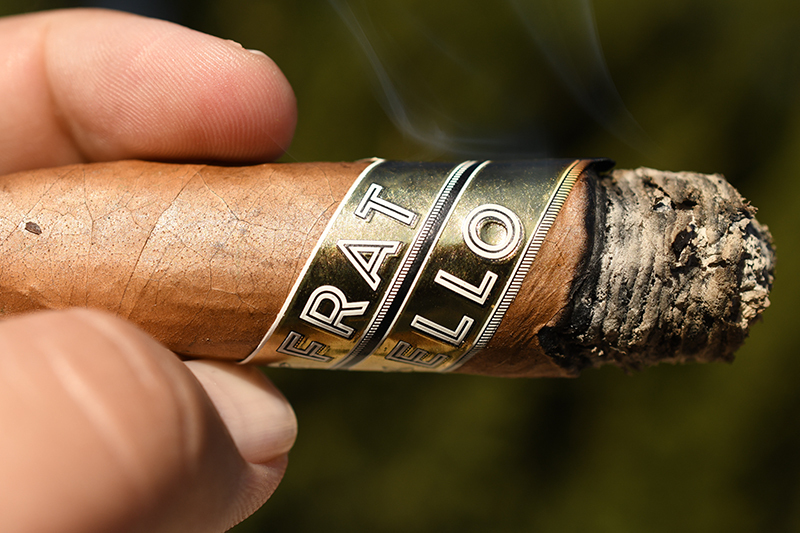 The cigar features the standard Fratello double-wrapped band (which is one of my personal favorite bands out), only this time it utilizes a gold metallic, black, and white color profile. The Boxer version of the Pro also features and added foot band that simply states “The Boxer” across the front. 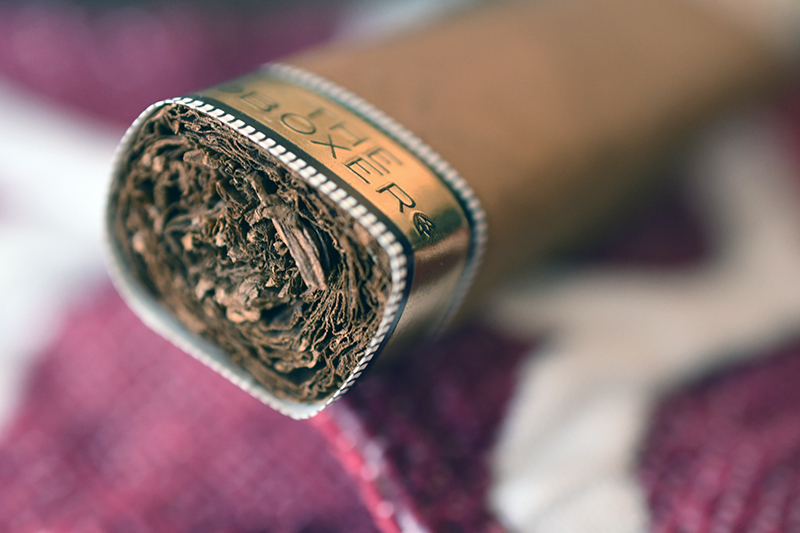 The wrapper on The Boxer Oro gives off a ton of cedar, pecan, and honey aromas while the foot carries a good amount of spice and a little bit of sweetness. The cap cut clean and easy using my Xikar XO double bladed cutter. The cold draw produces some great cedar, natural tobacco, and hints of spice. 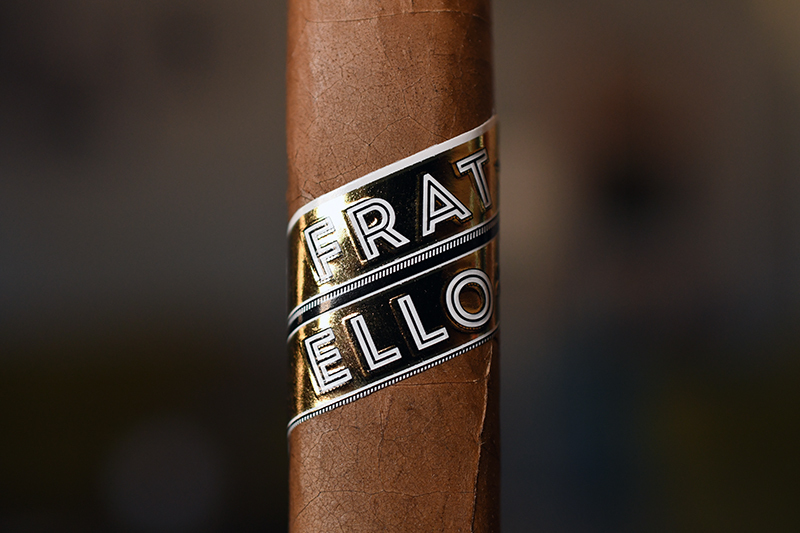 The Fratello The Boxer Oro comes out swinging with a ton of really tangy cherry, and plum flavors which faded back considerably letting the caramel, cedar, honey, and natural tobacco flavors seep through the profile. 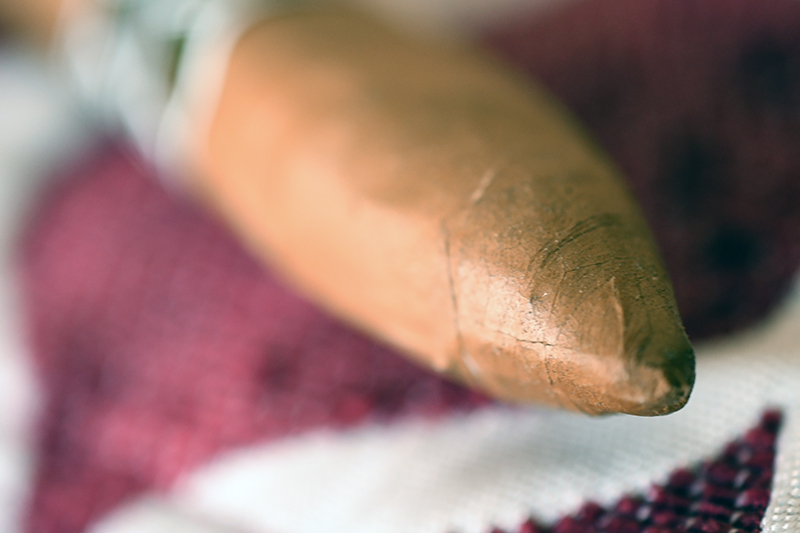 The draw on this cigar is so effortless, each and every little puff kicks out a whole mess of thick, white smoke which hangs around for quite some time. The cigar pours out stationary smoke as it rests in my ashtray as well. The burn line is pretty wavy, and the ash left behind is a compact mixture of medium and dark gray which only held on for about a half inch before falling into my ashtray. I am surprised that the tart cherry and plum flavors are still very evident into the second third of The Fratello The Boxer Oro. The cedar has ramped up a bit while the honey has decreased and the caramel has dropped off. Each time I retrohale this cigar I get a nice blast of spice that isn’t too evident in the smoking experience and it really adds a little something to the smoke. The burn line is still a bit chaotic at times but I haven’t had to touch up or relight the cigar so no complaints there. I close out the second third with nothing in terms of nicotine. Into the final third of the Fratello The Boxer Oro and this is where the cigar really shines. A good amount of residual tart berry along with some great cedar, spice, and natural flavors. This is where the pecan note I picked up early on comes out along with some nice honey and caramel. The cigar took me almost 2 hours to take down to the nub and I experienced absolutely no harshness nor any extended heat along the way. I close out with nothing in terms of a nicotine kick. I have been a huge fan of Fratello since their initial release and they haven’t slowed down since. The Oro is a perfect example of a milder Connecticut shade cigar done right. Normally I am not a fan of this style of cigar, but there has been a few that I have really enjoyed and the Oro has joined those ranks. Mild, yet satisfying with a good amount of flavors, and an excellent experience all at a low price. It helps that I can find these locally now as well. Add this all up and its easy to see why this will be a staple in my daily cigar rotation when I am craving something a bit milder than my norm. 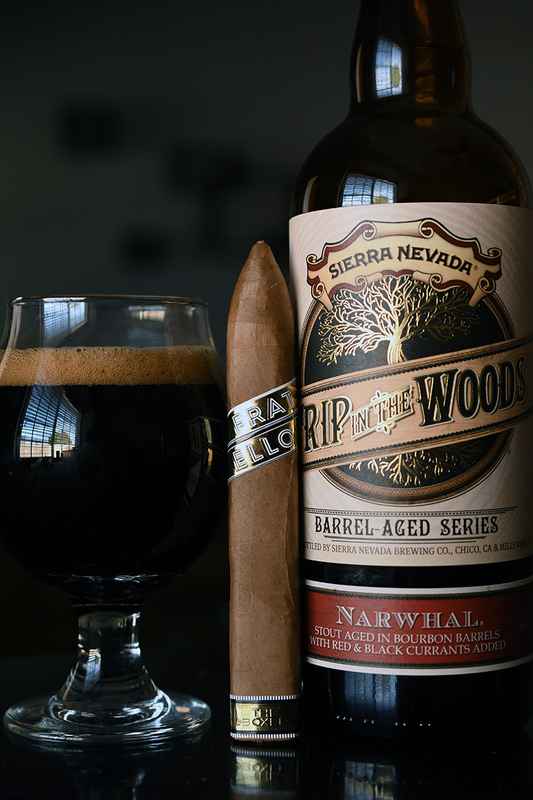 Sierra Nevada’s Trip in the Woods Narwhal is a 9.2% Imperial Stout aged in bourbon barrels with red and black currants brewed at the Sierra Nevada brewery in California. The Trip in the Words Narwhal tastes almost closer to an alcoholic raspberry black tea than it does to an imperial stout. The beer starts out with some bold berry/currant flavors, lots of tart and tang, soft vanilla, slight sweetness, and a bit of roastiness with a very light mouthfeel before finishing with even more tart, tang, berry and current along with some slight cocoa and spice. You can’t even taste the bourbon barrel in here and if I couldn’t see the color of this beer I wold think it was some sort of ale. Needless to say the alcohol is hid very well. While on paper this isn’t the best beer to pair with a mild/medium cigar I knew what this beer had to offer and it made for an incredible pairing with The Fratello The Boxer Oro.